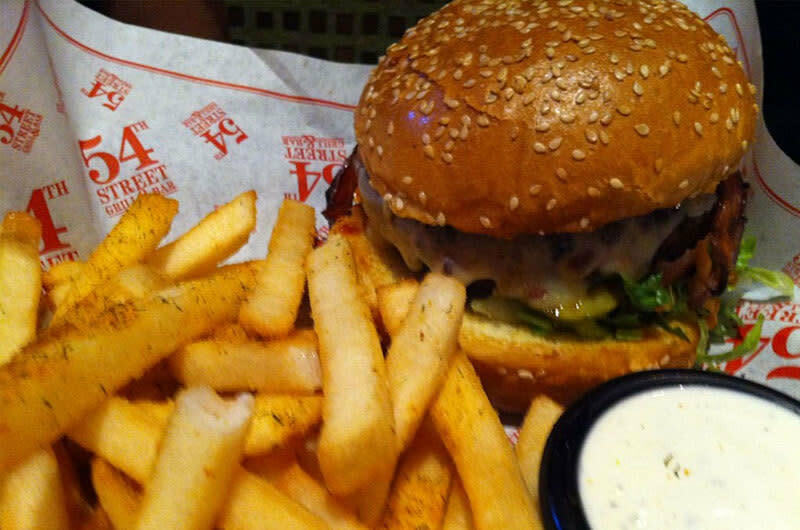 54th Street is a casual, neighborhood grill and bar style restaurants offering an outstanding selection of great tasting food and spirits at very reasonable prices. Open daily for lunch and dinner, the restaurant is comfortable and relaxed with a bit of a retro feel. Favorites include their "Street" steaks, slow-cooked baby back ribs, an incredible variety of salads and sandwiches, as well as the "Mile High" burgers and world-famous "Gringo" dip. You certainly won't want to forget the ice-cold libations, including a wide variety of bottle and draft beer or the Five-Four favorite "El Perfecto Margarita."